Da Nang (VNA) - As it prepares to host the 2017 APEC Summit, the central city is hoping a business convention in September will help it bolster its already-strong record of attracting foreign and domestic investment. 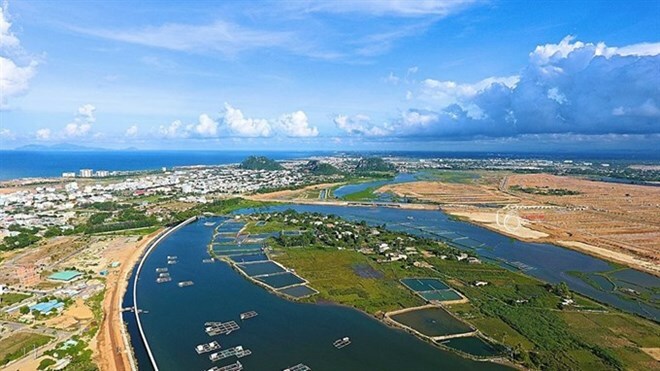 The city will host a business forum, Invest Da Nang Forum, for more than 600 diplomats, businesspeople, representatives of ministries, and organisations from Asia-Pacific Economic Co-operation (APEC) member countries. As a prelude to the 2017 APEC Summit November 5-11, it is expected to be the largest such event in the city’s history. After several years of high-profile development projects, including high-tech centres, a new road, and a new airport terminal, the forum is expected to give Da Nang further momentum. Director of the Da Nang Investment Promotion and Support Agency Le Canh Duong, said the three-day forum, running from September 29th to October 1st will focus on eight investment fields that the city has been focused on, including infrastructure, real estate, high-tech parks and supportive industries, information technology (IT), high-tech farms, heath, education and tourism. Duong told Viet Nam News that the Prime Minister of Vietnam will give a key speech on the official opening day at the Ariyana Da Nang Exhibition & Convention Centre – the major convention centre of the 2017 APEC Summit. It is expected that investment licences for some projects will be granted at the forum, and a series of Memoranda of Understanding (MoU) and loan agreements will be signed, joining a slew of projects completed or underway in the central city. According to latest reports, Da Nang has attracted 461 foreign direct investment (FDI) projects worth 3.8 billion USD to date. In the first half of this year, the city granted investment licences to 36 foreign direct investment projects worth 32 million USD. Earlier this month, the city listed 68 Public-Private-Partnership (PPP) projects, 22 of them in the hi-tech sector. From 2017-20, the projects call for investment from domestic and foreign businesses of 1.4 billion USD. The city’s 1,010-ha high-tech park, which was built in 2013 in Hoa Vang district, 20km west of the city, has attracted six projects valued at 180 million USD from two Japanese and four domestic investors. The Japanese investors – Tokyo Keiki Precision Technology Inc and Niwa Foundry – have officially begun operations at their plants in the park with total investment of 62 million USD, while the four domestic investors are still in the construction phase. FDI enterprises in Da Nang earned revenue of 776 million USD, of which 522 million USD came from exports – and contributed 112 million USD to the State budget in 2015. Last week, the city restarted construction of the 341ha Da Nang Information Technology Park (DITP) in Hoa Vang district. The park was designed as the Silicon Valley of central Vietnam. Total registered investment there stands at 278 million USD. The city officially put into operation of the first 65km road section of the 140km Da Nang-Quang Ngai Expressway on August 2. The new terminal of Da Nang International Airport also launched in May to host 150 flight arrivals and departures, 15,000 passengers and about 50 tonnes of cargo every day. Da Nang also plans to build Lien Chieu port as a main logistics centre in ASEAN and within the East-West Economic Corridor (EWEC) that links Laos, Myanmar, Thailand and Vietnam.